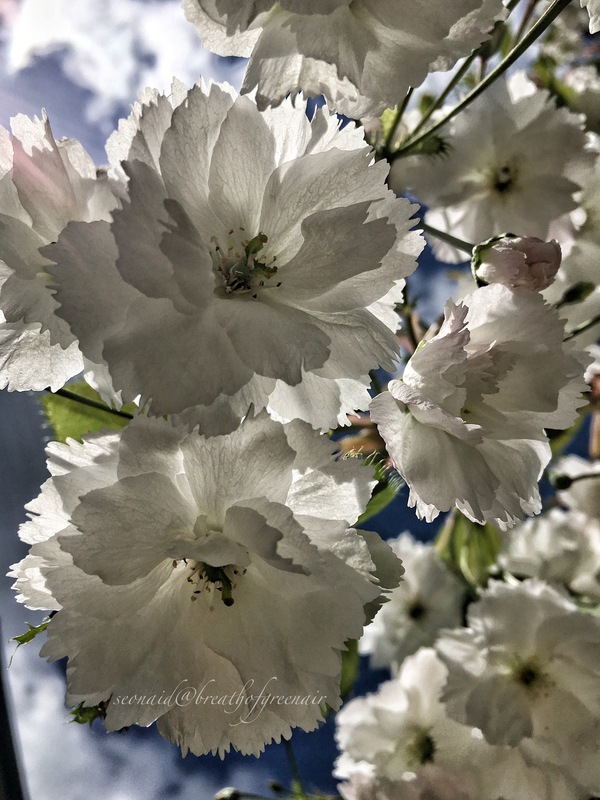 This entry was posted in mindfulness, nature photo, weekly photo challenge and tagged blossom, celebration, earth, flowers, mindfulness, nature, photography, postaday, spring, white. Bookmark the permalink. 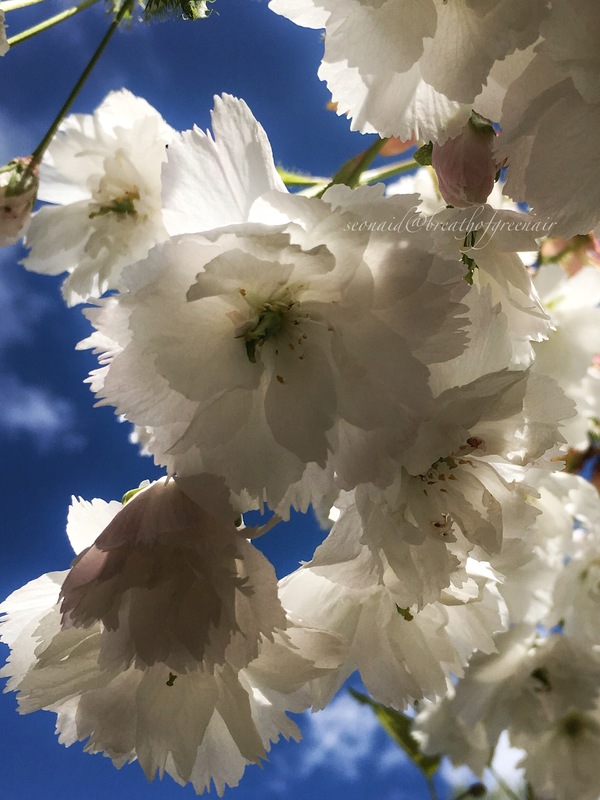 love the way the sun comes through the blossoms… the sun-kissed beauty of spring! beautiful poetic post, Seonaid!! Oh my goodness, these are gorgeous! What an eye you have, Seonaid. Spring is my favorite time of year. You captured it perfectly. So beautiful, Seonaid! Spring has been so delightful this year…long lasting and abundant in flowers. We still have the lilacs here, but the beautiful cherries are all over. Beautiful blossoms and enriching words, an ode to spring. Seonaid, your magic in eye and words is stellar, as usual. Those blooms are stunning. They are like being a bride again. And today is my anniversary. 🙂 19 years of smelling lilacs and remembering. Yes, I’ve planted some in my yard. I smell them every spring and smile. Lovely words and pictures Seonaid. Could feel the texture of the petals from here. 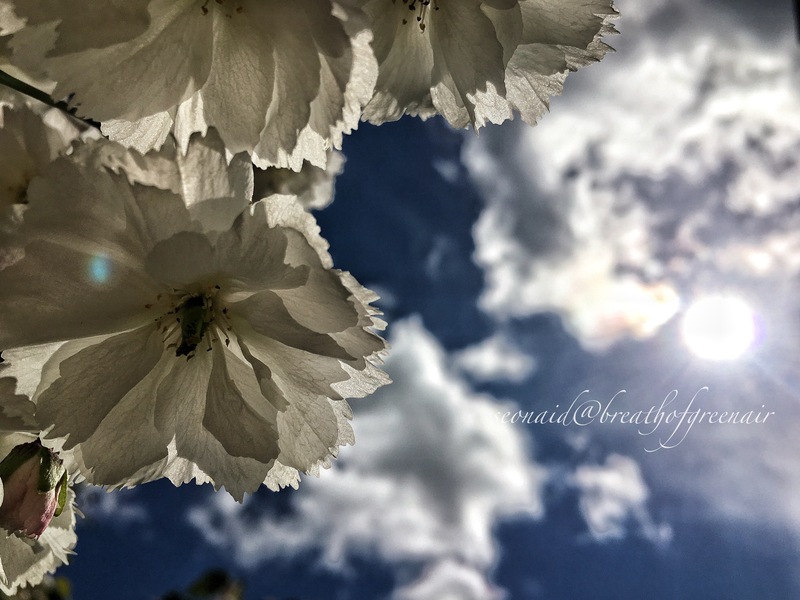 Isn’t it delightful when the light fills out the petals texture like that John….I do love petal filtered light! Blossom and spring certainly go together in my mind Su….along with bluebells, primroses…and lush green grass! … and rain. I think Spring is our wettest season. Truthfully David I’m not entirely sure how I did that, but as you know I do love to shoot into the sun, and somehow or other it usually works out. I think I had enough light filtered by the petals 🙂 Delighted that I had you lying there on the grass beside me! Many thanks Christiane, blossom is always such an abundant celebration! Delicious! 🙂 🙂 It’s grey again today but one day at the weekend I was walking through a swirl of pink ‘snow’ as the wind scurried it about. Wonderful! Always Simon…..and yes funny the different seasons across the globe….Spring is so abundant and forceful here it feels as though it must be happening everywhere!! So beautiful – in word and picture! Ahhhhhh, I feel totally refreshed and my heart smiles! Thank you! Always my pleasure Gwynn, and doesn’t nature do refresh so well in spring time? Aren’t they magical at this time of year Sarah……I sat under a tree that was humming contentedly with busy happy bees!! Oh just heavenly 😀 I love seeing the huge bumblebees in their looping dance around blossoms! I know!! Science has only just been able to prove that they can actually fly 😉 I always want to stroke them! Beautiful, dear Seonaid. Thank you.